Yet another term has arisen from the Internet dictionary. Those of you who are familiar with chat room terminology will know what this is. The word is "sockpuppet": a word used to describe someone who aims to deceive in the chat rooms. You may think this is nothing new on the web, and of course you would be right. 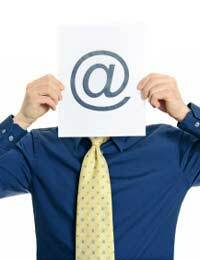 This is just a new type of Internet user, and is used as an “alter ego” in the world of the web. Strange computer terms make us naturally curious, as we come up with various theories as to what the word could mean. The computer geeks among us, having knowledge of networking may have thought that it was something to do with sockets, connections and TCP/IP even! More practical people will recognise the words "sock puppet" (note the space), which has nothing at all to do with the Internet but is in fact a common sock dressed up to look like a character or animal with eyes nose and mouth, i.e. it’s a “sock puppet” in every sense of the word. What is the Purpose of a SockPuppet? The true purpose of the sockpuppet is to provide an impression that the person behind a username is a good and worthy person who is honest and trustworthy in a typical chat room setting. Of course we are not saying that a “sockpuppet” is not a good person, we mearly mean to say that a socpuppet is used to mislead people via a fake online identity. In order to enforce the impression, at least of good intentions they may choose a username such as "helping hand" or "nice kenny" etc etc. The name is designed not only to throw chat users off the scent of their activities, but also to provide controversy in the chat room, by playing “good cop”, “bad cop” via two identities and cause mayhem in ensuing discussions, by provoking controversy. Is It Possible to Have an Alter Ego on the Internet? The usual alter ego of a “sockpuppet” is a chatroom member under the guise of a "Troll". The Troll can be one and the same person as the sockpuppet but will use two user names to throw chatrooms members of the scent. For all intents and purpose, the Troll and the Sockpuppet are two different users. The chatroom activities usually go like this: They join a discussion starting heated arguments as the “Troll”, meanwhile their other user, the “Sockpuppet” disagrees and agrees with other user comments and may seem to be supporting the arguments made against the Troll. It is all designed to confuse and mislead, but the sockpuppet is playing “devils advocate” (a more familiar term!) in a sense because the Troll is using the sockpuppet to increase the intensity of the arguments! So if you use Internet chat rooms, just remember that if you recognize a Troll, but have defended another user who seems perfectly okay, they may well be hiding behind their sockpuppet "alter ego". The Internet has brought with it many things, and now if we wish we can provide ourselves with multiple identities with different personalities. Privacy: Who is Spying on You?